How to choose our favourite reef from 50 different dive sites - not easy but we did it. Our top two favourites in December were Dhega Thila and Christmas Tree Reef as we had so many special encounters on both dive sites but in the end Christmas Tree Reef won the challenge. We love Dhega Thila which is one of our deeper reefs covered in beautiful coral and millions of little orange basslets. There we discovered that the clown fish had laid eggs under their anemone which we don’t see very often. Napoleon wrasses are curious and come close, eagle rays hang in the current, turtles sleep in the overhangs. Still our vote went towards Christmas Tree Reef. It is a small reef starting at 18m so we need good visibility to find it and slow current to dive here but once the conditions are right it is one of the most beautiful dives sites mainly because it is covered with the most beautiful and colorful soft corals. Here batfish follow our bubbles, fusiliers are being hunted by jackfish, nurse sharks sleep in one or both of the caves, eagle rays pass by in the blue and if you like small critters we will find a leaffish which is hiding amongst all the beautiful coral. 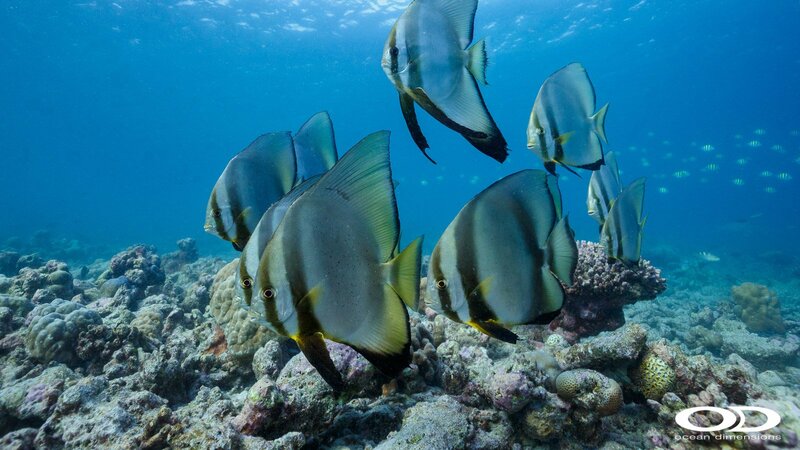 Our recommendation for the best snorkel site this month is the Kihaa Maldives house reef. Snorkelers who venture a little further along the reef will find that it is infested by sharks! 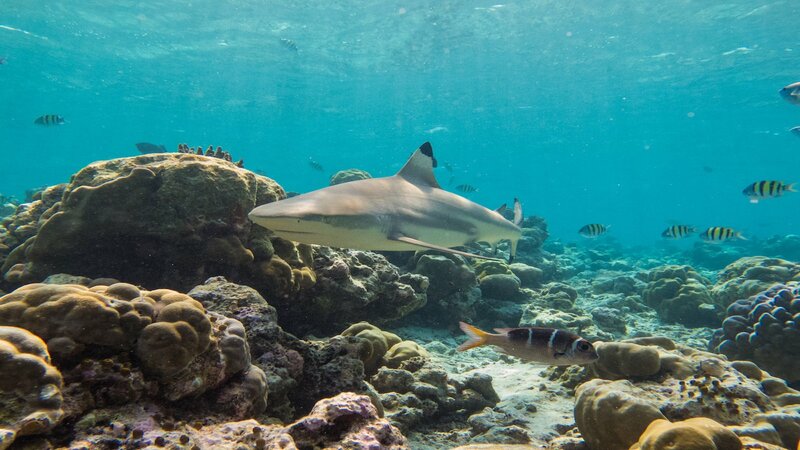 Yes, regularly we see lemon sharks, we have resident nurse sharks and during one of our snorkels we have even encountered up to 8 blacktip reef sharks and as you can see in the photo they come pretty close – so nothing for the fainthearted. Sharks are not all you can see along our house reef, you will come across cowtail stingrays, porcupine stingrays, lobster, turtles, octopus, stonefish, false stonefish and many more. Feel like visiting next month? Check out the room rates on our web page.